It’s such a shame that the world looks so bland in comparison. The island you explore as Luffy is boring. 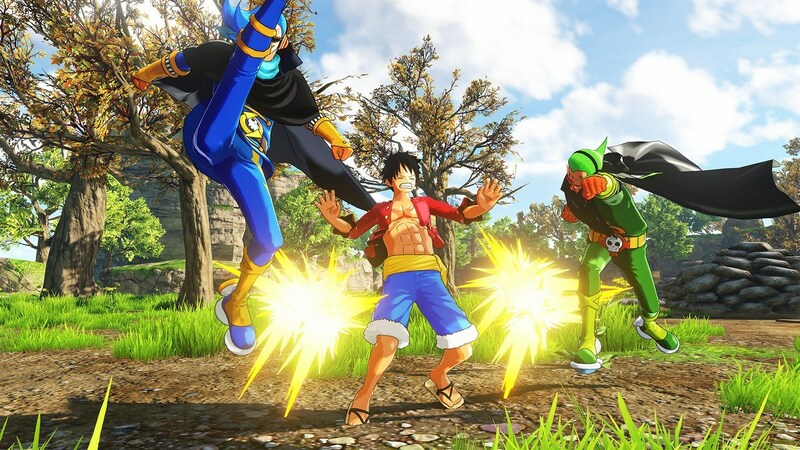 It looks like a mash-up of different stock Unreal Engine assets and textures, thrown together to hastily create a world for Luffy to run around in. It is. All seamless and explorable from the beginning, which is great, but it could use layers of extra polish. And that polish is needed in the combat. Combat and exploration can be upgraded through skill points you gather. Yes, it’s another typical progression skill tree, and it’s dumb that every open-world adventure has these, but here it really does open up the world when you upgrade yourself. But the combat remains stilted. It gets easier, faster, more satisfying, but it doesn’t progress much farther than mashing an attack button and rarely using a special move. Though, there are also stealth mechanics in play here, allowing you to take down opponents that are unaware of you, and get around that at times awkward combat. It honestly feels superfluous though, and not an essential part of Luffy’s moves. Though, it might be necessary just since head to head combat can be so finicky, especially when it comes to Navy snipers, that can seemingly hit you out of the sky with perfect precision from long distances, as long as they have a line of sight. These can be tough to avoid, and their accuracy rate is so absurd it feels like a bug. Other enemies have criminal amounts of health too, requiring you to hide and heal or avoid them entirely. Yes, there are definitely complaints to make about World Seeker, but it has strong points too. One in particular is the exploration. Swinging from the environment feels awful at first. You can look at buildings or fences and tap the shoulder button to snap to them with your rubbery arms. That is terrible in the beginning, but when you upgrade your skills and add the Rocket ability, exploration opens up massively, and you’ll find yourself moving across the entire island quickly. It can be very satisfying. The story feels good too. Not amazing, but this story could easily work as a One Piece movie, and it is easy to imagine this tale fitting right in with the canon of One Piece. Outstanding by no means, but very enjoyable for One Piece fans. But of course the main problem is the missions. You’ll spend your time with fetch quests, beating enemies or looking for someone in a Batman-style detective mode. It can get laborious fast, and as a result, the game only feels worthwhile for One Piece fans. It’s a shame, because they made a good open world game, and then dragged the experience down with poor missions. If this were a shorter, snappier experience with less mandatory fetch quests, it’d honestly be a much better game. All of the missions feel like filler, and a more streamlined story would’ve been much better. 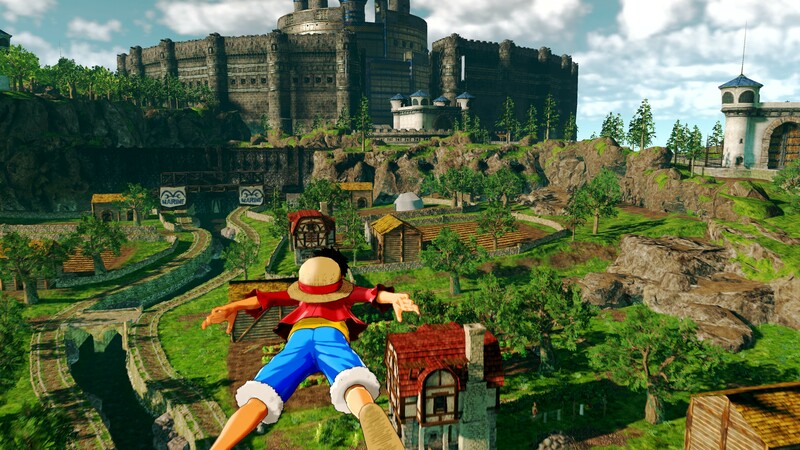 So should you play One Piece: World Seeker? If you’re a One Piece fan willing to put up with some poor mechanics, then yes, absolutely. If you’re not a One Piece fan, then no. It is as simple as that. With World Seeker, Bandai Namco have made a game that appeals to the fans, but once again, not to anyone else, unlike Dragon Ball FighterZ.